Best of the week: all the news and reviews 22.06.13 | What Hi-Fi? 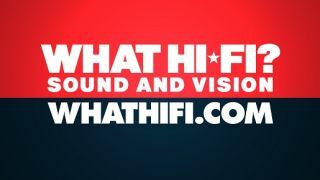 This week on whathifi.com we saw what Samsung had to offer at its Premiere 2013 event, getting the lowdown on the new devices the South Korean tech giant is releasing this year. That wasn't all though. Thursday brought the unexpected news that Microsoft is revoking its always online policy for the Xbox One. Other news hit the web with TV manufacturers reconsidering OLED TVs in the light of Ultra HD sets and Apple TV getting some extra channels. Do we need another disc format? Some of the industry's biggest-hitters seem to think so, with the official launch of the new High Fidelity Pure Audio format this week. The format allows for hi-res music to play on standard Blu-ray discs in standard Blu-ray players, and Universal, Warner, Bose, B&O and Dolby are just some of the companies involed. Samsung's Premiere 2013 event happened earlier this week with the company - after many months of speculation - launching two new Activ tablets: the ATIV Q and the ATIV Tab 3. Samsung weren't done with announcing new products with the S4 Zoom, S4 Mini and S4 Active all due to roll off the production line before the summer is over. After last week's reveal at E3, Microsoft has removed the much-criticised Xbox One DRM features from the new console. Revealed first on whathifi.com, a post on Xbox.com subsequently confirmed that the console will not be required to check in every 24-hours and that games will not be restricted to just one individual's account. The Xbox One release date is set to be November of this year. 4K TV causing an OLED rethink amongst TV manufacturers? With Ultra HD gathering steam, it would appear that TV manufacturers are reconsidering OLED TV production. Publicised quite heavily at CES earlier this year, sources close to Samsung have reported that the launch and subsequent interest in Ultra HD 4K TV sets have necessitated a rethink behind the scenes. With news of 4K streaming trials in Japan, along with the joint project between BBC and Sony to film some of the Wimbledon tennis in 4K, OLED sets could be delayed for the time being as the likes of Samsung and LG get to grips with Ultra HD. Good news for those who have Apple TV boxes. Sky News is now available on the device in the UK, US and Ireland. American owners will get to watch HBO GO and WatchESPN. The extra channels come as part of the software update 5.3, which rolled out yesterday on second-and-third-generation Apple TV boxes. Creative Airwave launches "world's first self-calibrating wireless speaker"
Both Microsoft and Nokia have had a hard time trying to compete with the best smartphones of late. With the Nokia Lumia 920 only out at the start of the year does its successor improve upon it? Can it match the competition provided by the likes of the HTC One and Sony Xperia Z? Read our full Nokia Lumia 925 review. We've already had a few products from designer Tim de Paravicini pass through our testing rooms. This time around we had the Bugatti Veyron-styled V12. Genuinely stunning to look at it with its chrome and wooden finish, this integrated amp certainly had the looks, but did it have the performance? Ear Yoshino V12 review. We've finally pinned the Naim NAP 100 down for an official review. With Naim we expect the familiar, simplistic look – but we weren't expecting the performance of this unit at this kind of price... Naim NAP 100 review.